Celebrity clothing lines have just received a new addition. 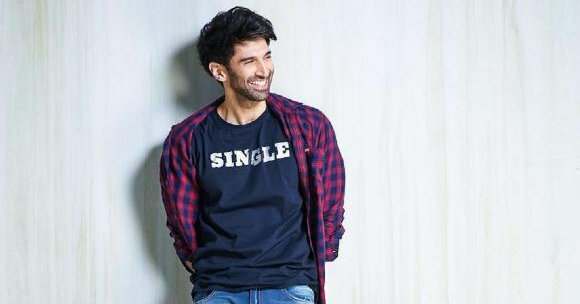 Bollywood actor Aditya Roy Kapur, who starred in such films as Aashiqui 2, OK Jaanu and Fitoor, worked with clothing retailer Universal Sportsbiz to launch a men's fashion line under the label "Single". "Single is the fourth and latest addition to the USPL brand portfolio. Our brands Wrogn, Imara and Ms.Taken have proven themselves very well in the past and we are pleased to add SINGLE to our entire business. We are pleased to partner with Aditya Roy Kapur, who has worked with our men's fashion design team, "said Anjana Reddy, Founder and CEO of Universal Sportsbiz. Universal Sportsbiz, headquartered in Mumbai, already has three well-known brands in its portfolio. These included Virat Kohli WROGN, Imara by Jacqueline Fernandez, an ethnic fashion brand for women, and Ms.Taken, a western line from actress Kriti Sanon. Such offers typically see celebrities giving their names to the assortment and curate the collection, which is managed and sold by online and offline merchants. In this case Universal Sportsbiz. In recent years, celebrities have given their names more and more fashion brands, especially as the competition between online and offline retailers has led to sellers differentiating their fashion collections more. Celebrity Deepika Padukone has her own clothing line - All About You - in conjunction with Myntra. The sisters Sonam and Rhea Kapoor launched their own label in 2017 in cooperation with the department store chain Shopper's Stop. Anushka Sharma and Hritik Roshan also have relationships with fashion labels.